It will soon be time to say farewell to an old friend who has stayed as close as our hip pocket for as long as any of us can remember. At the ripe old age of 230 the United States dollar has entered the final four seasons of its’ life. The bankers did not give up though. They continued to lobby for the formation of a central bank to take control over the issuance of the dollar. After 128 years America forgot the warnings of our forefathers and surrendered our currency to the bankers with the formation of the Federal Reserve Bank in 1913. Since that time the value of the dollar has declined by 97%. They have done a fabulous job of destroying it. Now the remaining 3% is about to go. In 2011 the Lord started revealing to me future changes in the value of the dollar. Over the past four years He has given me a series of dreams and words revealing pieces of the puzzle little by little. Just in the past few weeks I have been able to start putting these pieces together to see the sequence of events, which are summarized here as four seasons. The first season began in April 2014 and is still underway. This is a season of increase in the value of the dollar. This rally is not due to strength in the United States economy, but due to weakness in the the rest of the world’s economies. The Lord has a great sense of humor. He has repeatedly told me, “Buy” at precisely the moment when I am thoroughly convinced it is a sell. I believe He does it that way to help me realize I would be in big trouble without Him. Every time He has told me to buy He has been right, 100% of the time. Yet, despite His perfect record I still struggle sometimes to believe Him because I still think I know a few things (yeah right). When I have listened to Him and done what He said I have made some big profits, but I have also missed out on some big profits by doubting Him. In April 2014 no one was talking about buying the dollar because its’ value had been steadily declining for about a year. The dollar index (symbol $DXY) had dropped from over 83 in April 2013 to 79.4 in April 2014. The bulls were in hiding and the bears were in charge. However, two days after I received that dream, the dollar started moving up. The upward momentum accelerated in May and June. By July a huge dollar rally was underway, which is still continuing today. The dollar index reached 95 in January 2015 and continues to be very strong. However, season one is soon coming to an end and the next season is about to begin. The steady rise in the value of the dollar during season one will come to an abrupt end in season two. Season two will arrive suddenly, catching many investors by surprise. It will be a very short season, but will make a huge impact on the world as the dollar gets knocked down and the euro gets knocked out. I have placed both of these events as coming during the same season because I believe they will occur close together and are closely connected. However, they are two distinct events. Just as God gave Pharaoh two dreams warning him about the coming economic events in ancient Egypt, He also gave me two dreams warning about the coming drop in the dollar. The two dreams are one and the same (Genesis 41:25). Both of my dreams reveal a sudden crash that will happen so fast investors will be unable to react to it. Anyone who is not correctly positioned before it happens will not have time to change positions when it happens. It will be too late. There will be only bitter disappointment for those who are not ready. In the second dream I saw a sudden collapse of the stock market with the financial sector getting hit especially hard. I saw the crash would be orchestrated by what some call the shadow government, the people behind the scenes who are in charge of our financial system. I saw it would happen at a time when the United States government has taken a stand in the world that will be very unpopular in other nations and will cause tensions between nations to greatly increase. I have already documented the details about this dream in another post so you can read more about it here: “Warning: Sudden Economic Collapse Coming in 2015”. A couple of months after I received this dream I sought the Lord about the timing. He told me, “It is going to come next year (which would be 2015) at a time when there are increased tensions between American citizens.” So the Lord has given two signs to help identify this season. There will be increased tensions between nations and increased tensions between the American people. I suspect both will be related to the same unpopular stand taken by our government. So why would the shadow government intentionally orchestrate a collapse of the dollar and the stock market? They are doing it to monetize the debt. Devaluing the dollar allows them to pay off our enormous debt with dollars that are worth far less than what they borrowed. Our federal government is now close to $18 trillion in debt. In theory if you devalue the dollar enough it could get to where the price of one loaf of bread is $18 trillion. Then they could pay off the whole debt with one loaf of bread. The debt would be paid, but the creditors would be furious. I don’t believe the dollar will be devalued to the level used in that example, but any devaluation will reduce the debt burden and that is what they are seeking. It is a dangerous game of reckless spending followed by reckless stealing from the creditors. It is a dangerous because our creditors include powerful nations like China and they will be furious when this happens. Christian violinist Maurice Sklar also saw the coming drop in the value of the dollar. He saw the dollar losing 30% of its value, but not collapsing at that time. As the world’s biggest economy, the economic damage done in U.S. markets during season two will have an enormous impact on the global economy. The European economy, which is already in a severe recession, and in some countries a depression, will be forced to re-align. The current European Union will be abandoned and the euro will die a painful death. The Swiss franc, which has historically been considered a safe haven, will also become worthless. The Swiss are known for their conservative fiscal policies, but in recent years they have purchased large amounts of sovereign debt from other European nations. As a result, the Swiss financial institutions are now so closely intertwined with the European Union that they will not be able to survive the collapse of the EU. This was the very first event the Lord revealed to me back in 2011. During my prayer time He said to me, “Dollar / Swiss franc, Silver / Gold”. When He said that He allowed me to know what He meant. He was telling me about a time coming when I would need to buy the dollar against the Swiss franc because the Swiss franc was going to collapse. After that would come a time when I would need to buy silver and gold, but mostly silver. With any investment timing is everything. However, when the Lord revealed these events in 2011 I had no idea when these things would happen. I did not know the collapse of the franc would be preceded a big drop in the value of the dollar during season two. I also did not understand why He was telling me to trade the dollar against the Swiss franc since the franc was considered a safe haven. It seemed to me the trouble in the rest of Europe would drive investors into the franc driving it up in value. It seemed to me it would be better to trade the dollar against the euro. So I asked the Lord about that. He revealed to me the reason it was better to trade the dollar against the franc is because of the way they are paired. When trading the dollar against the euro the euro is the base currency, which means the value of the pair is defined by how many dollars are required to buy one euro. Therefore when the value of the euro goes to zero there will be no more profits to make from that trade. However when trading the dollar against the Swiss franc the dollar is the base currency, which means the value of the pair is defined by how many francs are required to buy one dollar. So as the value of the franc approaches zero the number of francs required to buy one dollar could go up to infinity. Even a trillion francs will not be enough to buy one dollar when the franc becomes worthless. Therefore the profit potential from trading the franc against the dollar is unlimited and enormous. So season two begins with a sudden big drop in the value of the dollar, which is followed by the total collapse of the euro and the Swiss franc. The key is to be on the sell side of the dollar when it drops, then get on the buy side of the dollar when the Swiss franc collapses. This will be an opportunity to make big profits for those who are correctly positioned for it. In the aftermath of the sharp drop in the value of the dollar during season two, the Federal Reserve Bank will take swift actions to attempt to prop up the value of the dollar. Their efforts will have some temporary results, recovering some of the value lost in the crash, but ultimately they will not be able to stop the dollar from losing more of its’ value. A steady flow of bad economic news will cause the dollar to keep going down steadily. In that dream the Lord showed me other events that will be happening during this season, which provides us with signs to tell us when we are in that season. The first sign is a very high rate of unemployment. It will be very hard to find jobs. I saw there would be some jobs out there, but many who are seeking employment would not be able to take those jobs due to the mismatch between their skills and the skills required to perform the job. This is what economists call frictional unemployment. The second sign will be policies put in place by our government that will prevent Americans from capitalizing on even self-employment opportunities. Many of these policies are already in place in the form of regulations created by unelected bureaucrats. So at the same time that the job market is drying up other income opportunities will also be drying up. Thank you government! The third sign will be a secret war waged between factions within our own government and our own military. The news media will be on board with the government’s agenda to keep the public misinformed during this time. Neville Johnson also saw the events from this season. He saw a time coming when people did not want to hold U.S. dollars so they kept trading them for a newly formed currency from Europe called Eurodollars, which will be formed after the collapse of the euro. While season two presents big opportunities in the currency markets, season three is the time to start preparing for main event, which comes during season four. So let’s get ready to RUMBLE! Season three is the time to convert all cash and equities into silver as much as possible. If silver is not available then gold is the next best thing. This revelation was given to me in the second half of the word He gave me in 2011, which I already mentioned above, “Dollar / Swiss franc, Silver / Gold”. The idea is to convert all paper assets into real assets such as silver and gold. Silver will be appreciating in value more than gold so it is the best investment. Opportunities for earning profits in traditional markets such as stocks and bonds will not work in season four. All paper assets, including cash, will become worthless. This will not just be the death of the dollar, but the death of all derivatives, which are financial products that have no inherent value in themselves but derive all of their value from an underlying asset. Derivatives have grown exponentially in recent years, allowing financial institutions to achieve enormous leverage of their assets while also exposing them to enormous risks if the markets crash. 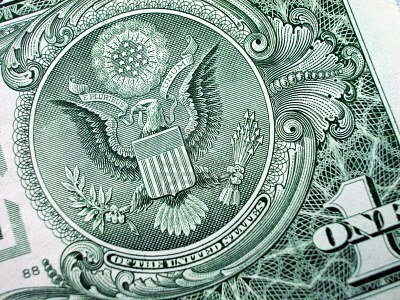 The dollar is actually a derivative because it has no inherent value in itself. It is just another piece of paper that represents an underlying asset. At one time every dollar was backed by gold, but we abandoned the gold standard back in 1971 and have been skating on thin ice ever since. Bank deposits will not be safe either as the bankers have succeeded in changing our laws to allow bank bail-ins. That means they can legally clean out our bank accounts and no one can stop them. That is why it will be so important to own physical silver and gold and hold them in our possession, not stored in a storage facility. If you don’t hold it, you don’t own it. After 230 years, the U.S. dollar will finally die. After that everything changes. The American way of life as we have known it will be gone. In its place will come problems that once only existed in other parts of the world, including civil unrest, violence, war, and famine. The death of the dollar means changes for the whole world because the dollar has been the world’s reserve currency for International trade. In this weakened condition, our economy will no longer be able to support the world’s strongest military force, which means America will no longer be able to police the rest of the world’s activities. As our power and influence recedes the void will be filled by other nations. Americans today are enjoying the blessings of God passed down to us by previous generations, but we have forgotten God, who is the source of all blessings. We have abandoned His commandments and embraced all sorts of sins, which is a formula for disaster. The only hope for our country is to turn away from our sinful lifestyles and cry out to God for His help and mercy. He alone is able to rescue us. Unless we return to Him, the death of the dollar will be only the beginning of our troubles. Someone is claiming this is the 1.2 billion prophesied. Someone else shared this recently. The article they shared showed the amount at $1.29 billion, which is pretty close, but I have yet to see where it started at $200 million. Also, in this deal Obama would not have the authority to increase the amount since he is the seller. Only the buyer could decide that. So I am still watching for another event, especially the proposal coming soon from the Pentagon to deploy more troops to eastern Europe. Previously, they expected a decision on that before the end of this year. major prophecy here of economic collapse coming when Fidel Castro kicks the bucket. Fidel Castro at 8 years old very soon it’s going to come to pass. the really need part of this prophecy is that two parts of it have already come to pass as confirmation. this is a sign we should be looking for during the third season. I don’t think so. I think Martin Armstrong’s forecast for 2020 or 2021 is more likely. Looking to get long us dollar here around 90 dxy and short euro 1.2200-2300 for possible euro move down to parity. A lot of things lining up IMO, technicals, fundamentals and sense of the Lords timing. US dollar going to go much higher. Current Dxy 89 and euro 1.2400. We could be seeing beginning of move now or could take another few weeks to play out imo. Market wants to flush out the current US dollar longs and euro shorts then Dollar will take off higher and euro will plunge to parity and lower imo. Trump just said “dollar is going to get stronger and stronger…” zero hedge. Treasury Secretary Mnuchin a few moments ago “I absolutely support a strong dollar over the long term.” Dxy currently 89ish, expect to see it well above 100 and euro below parity imo. We got the second flush lower in the dollar dxy to 88.12 low with clear 5 wave move. Now making first higher high in dxy for 4 months. A close above 90.50/60 would look very constructive imo and make case that the low could be in. Dxy will be >100 and euro < parity. Trump’s new NEC president Kudlow on Wed March ‘14: ‘I have no reason to believe the president doesn’t support a strong, stable dollar.’ Also, ‘I would buy the dollar and sell gold.’ Zerohedge. Dollar moving higher, gold lower since Wednesday. More downside for gold, upside for dollar to come imho. Dollar closing above 91 today and above 100 SMA looks like it’s finally breaking out of its 3 month sideways range with 2 higher lows and higher highs. Dxy going to 103 and Euro below parity imo could take 1 year + to get there. If Cryptos continue with dollar correlation would expect them to trend higher also over same period. I agree, both should move higher over the next year. I heard billionaire Jim Rogers say today he is holding lots of dollars because he believes it will be gaining value. Yes I support you James. Thanks for the confirmation Phil. Could be close to the next move higher in dollar up from 89ish in March this year. Dxy now 95.50ish, soon to target 100 and higher, euro (current 1.16) to move lower closer to parity and gold (current $1,200) lower towards $1,000 imo. If the US dollar starts to rapidly devalue, just like in Russia, the central bank will try to save the currency by raising interest rates..rapidly. Remember the 80’s, with 20% interest rates. If the dollar slides off a cliff, this will happen. Real estate will instantly lose 90% of it’s value, 50% unemployment, derivatives will implode, the whole systems comes down. Any vision or idea what will trigger the dollar to go into free fall? Hi James, the large move in the Swiss Frank last January was unprecedented. Could that have been what you saw in your dream? That was a big move and it could be what I saw in my dream. However, I don’t believe it was because the content of the dream with my hands fastened to my desktop was so similar to what I saw with the market crash dream with FAZ shooting up. In both cases it was a sudden crash that we would not be able to do anything about because it happens so fast. Also, the market crash dream showed China so angry they threatened to declare war. That makes me believe something happens to the value of the dollar. Also, others have seen a sudden devaluation of the dollar coming, including Maurice Sklar, Nathan Leal, and Sarah Beveridge. Please review it and let me know what you think. The overnite crash would occur on a holiday weekend where the holiday falls on a monday…. the whole thing came down with a crash to about 20 cents on the dollar. Property would only be worth l/5 of its former value, but his mortgage and other fixed debts would remain the same…. Vision of the Russian Attack on North America . ….Also, lastly, a date was given to me, but not the year, which was January 26, ????. 1. Stock market and Dollar crashes by Dec 2015. 2. Dollar devalued by 80% by the US govt in January 2016 to pay off debt. Silver & Gold shoots up. 3. China becomes furious and invades USA with the help of Russia. I don’t know about the details since I was only shown what I saw in my dreams. My recommendation is to draw close to the Lord and leave the details in His hands. Not sure where you got the 50% drop in two months because that is the first time I have heard that number from anyone, including the three names you mentioned. I believe we will see a crash, but I was not shown any numbers. Regarding the next election, I believe Obama will stay in office, but I have not heard anything from Terry Bennett about that so I am surprised you listed his name. Thanks for sharing your insights about the oil market. Regarding the sequence of events I shared what I saw in my previous post, The Final Four Seasons of the U.S. Dollar. Regarding volatility I believe my dream was a warning to have large cushions in forex trading to avoid getting wiped out. God bless you Rahul! As you continue to seek the Lord and acknowledge Him in all of your ways He will direct your path (Proverbs 3:6). Thank you very much for your replies. May god bless you. Now the Black horse didn’t run beyond December 2015. As per the revelations given to you and others: I understand that Season 4 falls before November 2016 i.e Presidential elections because total economic collapse and rioting would be the cause of canceling the elections. Please share your views on this. That is my plan, but I am also combining the forex short position with call options on FXF and FXE because they also offer very good leverage. I just read this, I bought some FAZ a couple of days ago. I have been praying a lot about how to handle money right now. Prayed about buying silver. I felt like the time was too soon and was at peace with that, then panicked and (tried) to buy silver yesterday. I thought the 2nd time the order went through. Saw this morning my order cancelled due to an inaccuracy of my address to my credit card. I know there wasn’t, I checked the order 3 times. I know (I mean I know to the bottom of my soul) that God is working on my trust. I’m going to leave things as they are and buy in season 3. What will be the safe currency if the Franc is going to collapse? I bought Francs thinking it would be safe! The collapse of the franc could still be months away or longer, but it is going to collapse when the euro collapses. The Lord showed me it is going down to 23 francs per dollar. So at least for that day it would be better to have dollars, but the dollar will also be losing value against other currencies. Ultimately, silver and gold will be the safest.